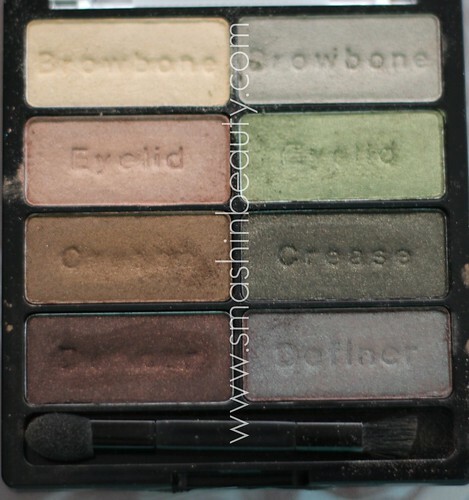 It’s the Wet N Wild Comfort zone palette makeup review with 8 eyeshadows in one palette. This is part of the Wet N Wild color icon eyeshadows collection. Make sure to check out my other Wet N Wild 8 color icon eyeshadow palettes reviews in blue had me at hello and petal pusher. Online based on many other beauty bloggers these palettes are supposedly well pigmented and a must have in your makeup kit since it only cost five dollars and you get more than your moneys worth. This palette consists of pure neutral shades which suits all eye color shades but sadly none of the eye shadows in the Wet N Wild Comfort zone are true matte shades, which might not be liked by some people.